Looking for a storytelling activity to encourage child’s imagination and boost creative thinking? 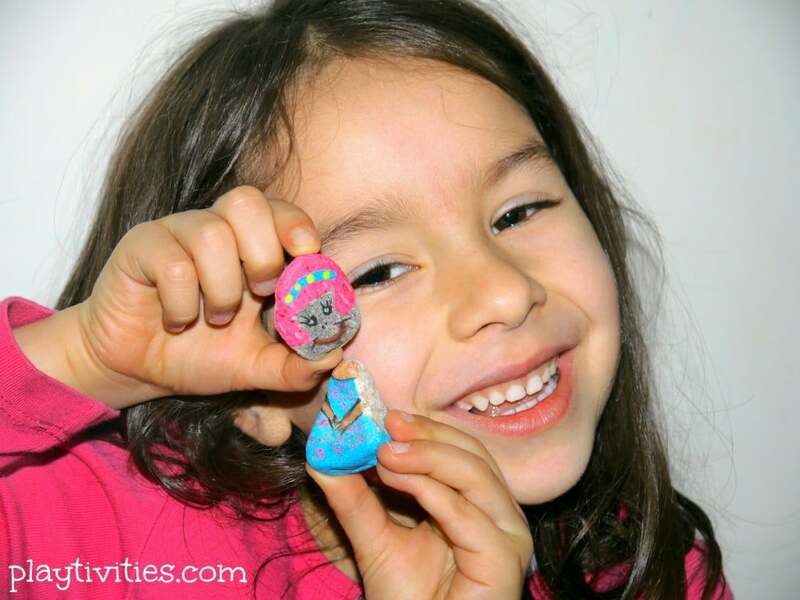 How about these colored rocks that will blow your child’s mind. And creative storytelling over the roof! What if I tell you that this visual storytelling activity will have your child playing for days while creating stories one after another. All you need is some rocks, colors to paint them, brushes and a box to put all the beauty, oh… and some time of course (but if you do it during your favorite TV show it doesn’t count). Painting the rocks is another story. Basically this storytelling activity speaks by itself and it doesn’t need much introduction for a child. Just give the rocks and provide some space. It’s fun. The storytelling naturally happens through the game. It’s perfect to play for your child my herself or with some friends. It could also be played in the classroom with more kids. As long you have enough characters. It’s very mobile. Take it anywhere you want it. We made the box, but if we take them on the trip we will put them in the small fabric bag. When you add new rocks, new stories come out. It’s a never-die activity. It will show a child that rocks can be story characters too. Hopefully next time at the park your child will spot a “new actor” for his rock play. It’s a craft too, if you make it together. 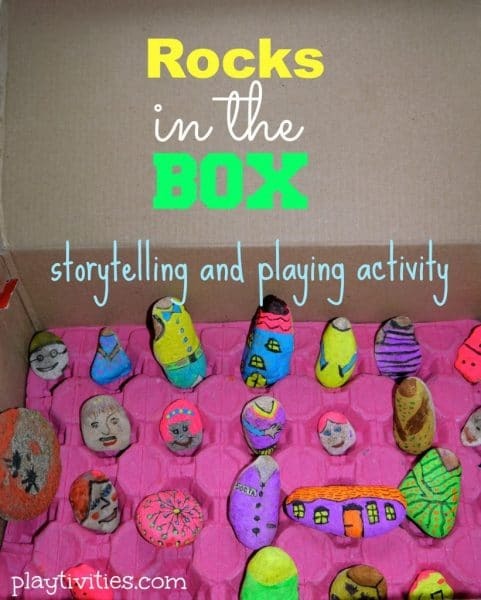 Involving a child into painting the rocks for this activity will help him be more interested into storytelling. It’s great motor activity too: handling all those small rocks in different shapes, turning them right direction, matching them. It’s CHEAP. Gotta love that! 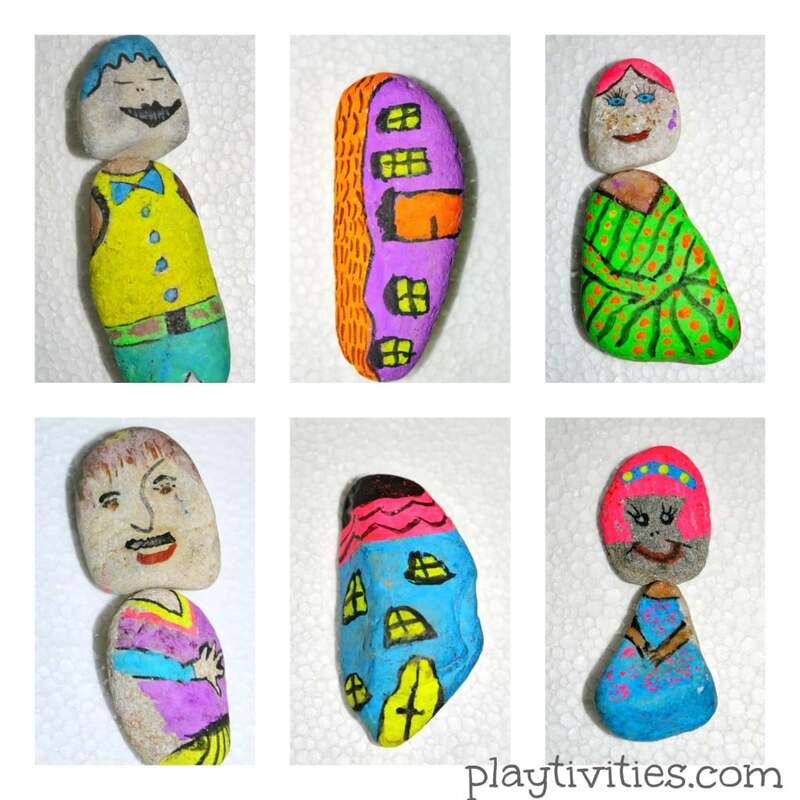 you can paint/decorate the rocks from both sides to have more characters and stories to tell. These are fantastic! I would use them in my home FOR SURE! thanks, Dayna. Try painting them, it’s really not that hard.